With a sole purpose to sharpen and improve our online presence, we have redesigned our website. 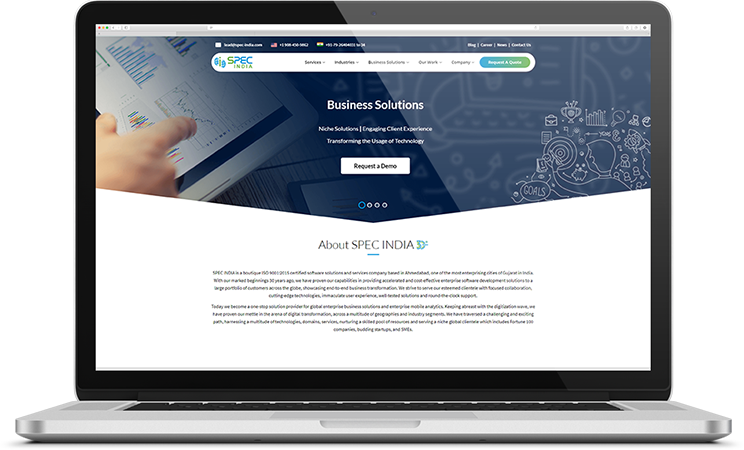 SPEC INDIA’s website is now equipped with a modern look and feels to cater to the needs of worldwide clientele. Proper planning, research, and a little foresight helped us to revamp our website in no time. Featuring neat & clean theme, appealing graphics, and flawless navigation, SPEC INDIA’s website is observing improved readability and increase in user engagement ratio.